Khairani Barokka is a writer, poet and artist based in London. Previously an NYU Tisch Departmental Fellow, Indonesia’s first Writer-in-Residence at Vermont Studio Center, and named a UNFPA Indonesian Young Leader Driving Social Change, Okka is currently a PhD Researcher at Goldsmiths in the Visual Cultures Department. 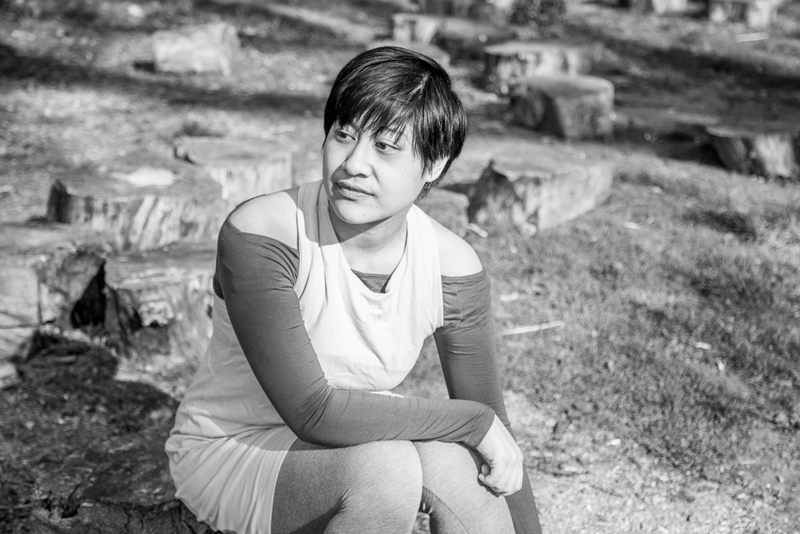 She is the writer/performer/producer of, among others, a deaf-accessible, solo poetry/art show, Eve and Mary Are Having Coffee, Edinburgh Fringe’s only Indonesian representative in 2014. Published internationally in anthologies and journals, Okka has presented work extensively, in nine countries, and been awarded six residencies and various grants. Her works include Indigenous Species and co-editing Stairs and Whispers: D/deaf and Disabled Poets Write Back. Her first full-length poetry collection, Rope, will be published by Nine Arches Press in October 2017. Carl Bowlby was born and raised in the Berkshires, MA and currently resides there. He first attended college in 1990 at Skidmore College in Saratoga Springs, NY studying poetry and fiction, and then transferred to New York University where he took up painting, as well, in 1992. He graduated from NYU in 1995 with a B.A. in Independent Studies from The Gallatin School of Individualized Study. Kaitlyn (Katy) Brennan is a teenager living with multiple chronic illnesses including Ehlers-Danlos Syndrome, Postural Orthostatic Tachycardia Syndrome, Hemiplegic Migraines, and more. She uses her writing and photography to help spread awareness for her various conditions. She is also very involved in Best Buddies, Sign Language, JSA and Interact along with being a third grade cheerleading coach. You can find her writing on The Mighty and The Odyssey. Kaitlyn sends a special thank you to the amazing photographers, Isabelle Chin and Sophie Perry, who perfectly captured their photographs. Lydia Flores is a writer and photographer from Harlem, New York. 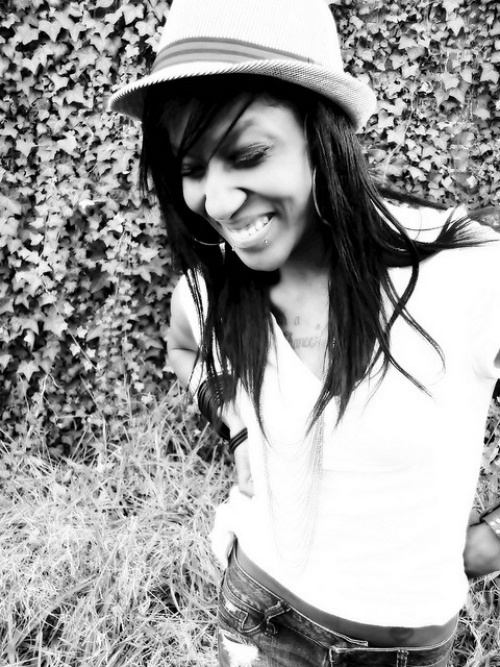 She holds a BA in studio art from UNCG & an MFA in creative writing from LIU Brooklyn. 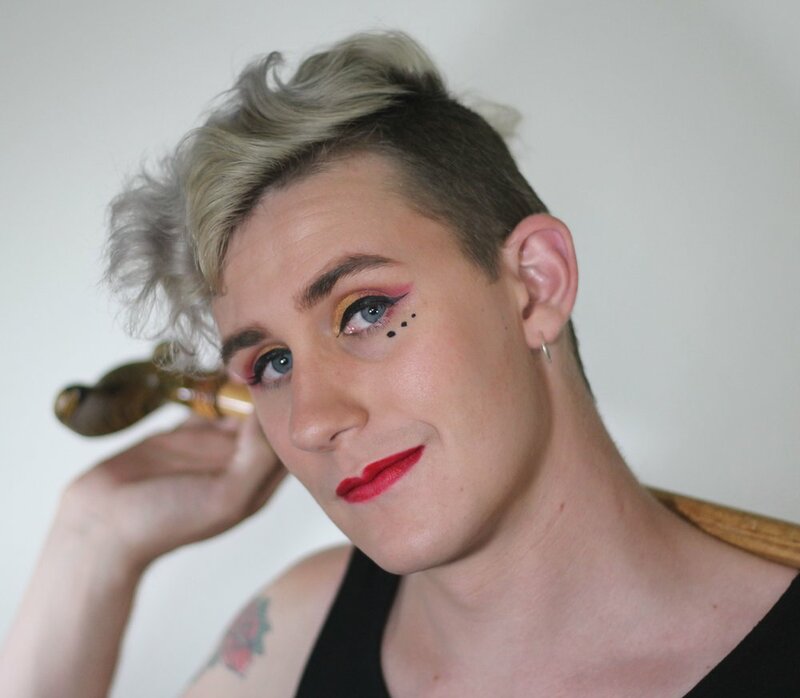 torrin a. greathouse (they/them or she/her pronouns) is a genderqueer, cripple-punk from Southern California. She is the Editor-in-Chief of Black Napkin Press. Their work is published or forthcoming in Bettering American Poetry, The Offing, Duende, Apogee, Frontier, Tinderbox, Lunch Ticket, Assaracus, and Glass: Journal of Poetry. She is a 2016 Best New Poets, and Pushcart Prize nominee, and semifinalist for the Adroit Poetry Prize. torrin’s first chapbook, Therǝ is a Case That I Ɐm, is forthcoming from Damaged Goods Press in 2017. Helen Harley is a 49 year old disabled artist and disability blogger, living in Dorset, England. She lives with ME, POTS, and chronic neuropathic pain. Since she was old enough to hold a pen, drawing has been the language in which she expresses who she is and what she is experiencing. Her subject has always been intense emotion, expressed through vibrant colour. Her blog about life, art and ME is online at thechronicelephant.blogspot.co.uk. Tamara Hattis is a mermaid. She has a B. A. in Communicative Disorders and Creative Writing from the University of Redlands in California, where she also did her graduate work in Communicative Disorders. Her poetry has been published in The Sand Canyon Review and Ghost Town Literary Magazine. Her art has been published in Incandescent Mind and can be found at facebook.com/tamarahattisart. 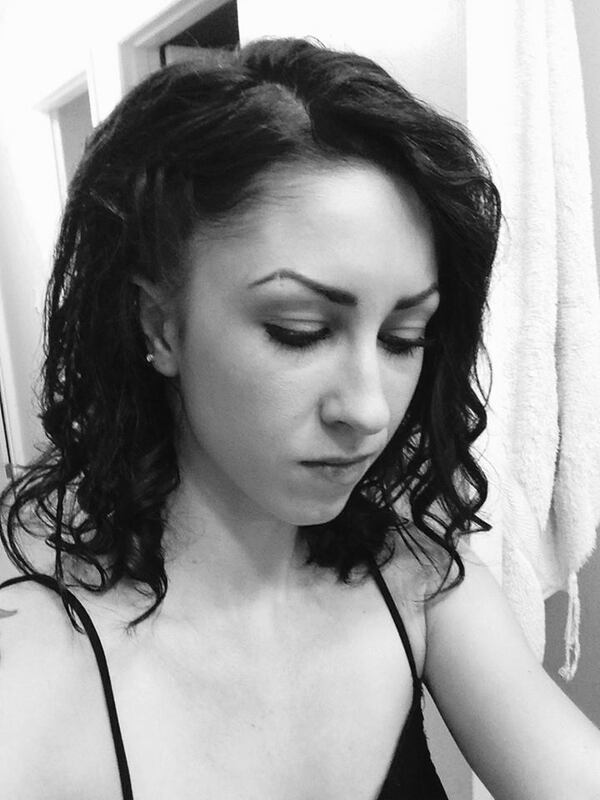 Samantha Knight graduated from UBC, Okanagan, in 2014, specialized in English Literature and Creative Writing. Her primary career as a writer continues to help Samantha grow, as she hopes to become a published novelist; she is also a fitness instructor, teaching boxing and spin. Previous publications include various works of art and writing, including a university paper that raised awareness for mental health among the female population on campus; this was later converted into a public service announcement and was accepted to be aired on Shaw TV in 2013. Much of her work can be found on her blog: https://sknightwriting.wordpress.com/. River Kozhar is the author of a teen fantasy novel and is seeking an agent for her second, a diverse new adult fantasy romance. She has 10+ publications in literary magazines, but “Secrets and Sleep” is her first published work of nonfiction. She is a disabled anthropologist and archaeologist and lives in Kingston, Ontario. 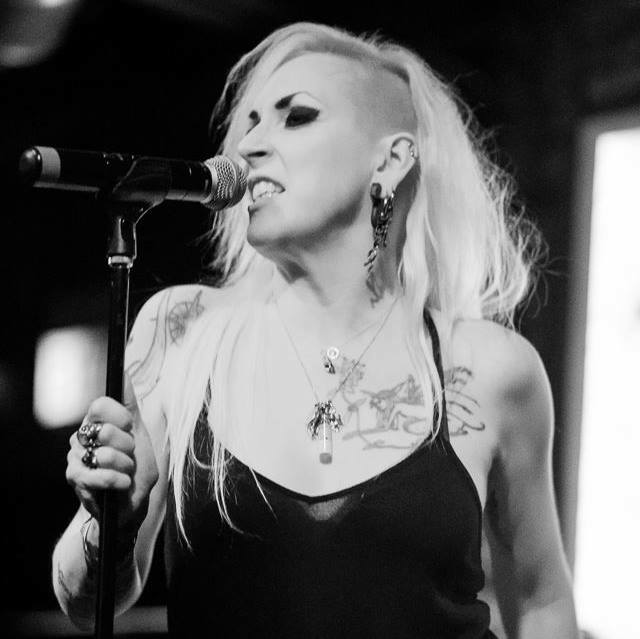 Donna Lynch is the co-founder and singer of the dark rock band, Ego Likeness, and a horror/ dark fiction novelist and poet. Her experiences with mental and chronic illness are regularly represented in her work. She lives in Maryland with her partner, artist and musician Steven Archer. I was born, raised, and schooled Catholic. I am a middle child of a very large mixed family. Stepsiblings and half sisters; a whole brother, and cousins upon cousins; not all blood, but all family. I am a 38-year--old electrical systems designer for a local engineering firm. Marvel music, sports, photography, films, etc. and have been writing since 15. I prose on mostly short pieces. Afflicted by an indescribable sickness, I try and aim to eliminate the idea of its definition as a frequent urgency manageable with dietary changes. Because it is so much more. Jesse Rice-Evans is a femme queer poet and steadfast Southerner. She cuts her own hair and teaches writing all over New York. Read her work in Scum, The Rain, Party, and Disaster Society, and in her collaborative poetry zine, "sundress comma fangs," among others, and reach her at jessericeevans@gmail.com.